Designed with ease of operation, low maintenance and cost of ownership in mind. 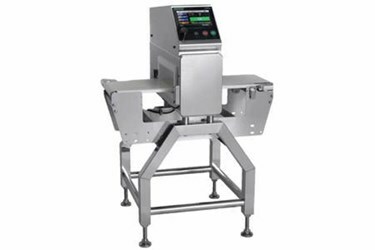 Food Metal detectors are considered a critical control point (CCP) in HACCP programs and require detection checks to make sure they are meeting your standards. Smart Guide directs detection and operation checks in an easy-to­ understand format. It can be set to stop operation if the testing fails ensuring compliance. Operator training is also minimized. Contaminated products should not only be detected but also rejected properly. Anritsu's reject confirmation ensures rejected products are fully removed from the production line. Passwords are required when changing critical product settings including sensitivity changes. This helps avoid human errors and potential operator mistakes. Optional barcode reader simplifies operator identification. Simplified data and log management allows quick response to retailers or customer quality inquires. We conduct strict design verifications to meet national and international standards such as CE marking and FCC. Anritsu metal detectors offer reliable solutions for quality control in the food industry around the globe.